Maules Creek, Monday, March 31, 2014: Over 150 people are taking direct action (Photo: Greenpeace/Leard State Forest Alliance). It was in January, whilst on a family beach holiday, that I first became aware of the protest happening at the Leard State Forest. I had not heard of the Leard before, however the words ‘Maules Creek’ and ‘Whitehaven’ vaguely floated into my consciousness as I read a Twitter report of the action happening at the Leard Blockade. I became interested and continued to follow the events as they unfolded over the next few days. Days have turned into weeks and weeks into months. At the time I read that first report I had no idea that I had become a small but vital piece in a process of ongoing, premeditated, mass civil disobedience. No, I did not join the blockade, I did not protest or write letters to MPs and others, I did not trespass on the Whitehaven lease or enter a closed forest area. I simply read media reports about other people doing these things, their reasons for doing them and the viewpoints of those they opposed. I became aware. An act of civil disobedience in itself is of little value if it goes largely unnoticed outside the arena of protest. The ultimate purpose of engaging in civil disobedience is to raise public awareness of the issues being protested about and to engage a wider public to become involved. Thus, it is not just the action itself but also the reporting of the action that is key to the effective use of civil disobedience. So, in January, when I read that first report on the Leard Blockade I effectively became involved in the public awareness raising of the issues that prompted the protesters to commit acts of civil disobedience. With the establishment of the Maules Creek Community Council in 2010, the people of the Leard Blockade have variously protested, campaigned, written letters, made submissions and camped in situ for years. Their actions have been considered, premeditated and peaceable. Their philosophy is one of non-violent intervention. Non-violent intervention through civil disobedience is not a new concept. Today we applaud the actions of Martin Luther King, Mahatma Gandhi and Nelson Mandela, amongst others, and celebrate their achievements as right and just. However, these men did not accomplish the changes they sought alone but as part of a larger social movement that advocated for change through non-violent direct action. Closer to home we have the example of the movement in Tasmania to stop the damming of the Franklin River. Through a campaign of non-violent direct action and civil disobedience the protesters successfully brought the issue to the attention of the wider Australian community, ultimately putting pressure upon the federal government to reconsider the state government’s decision. Whitehaven Coal in Boggabri Photograph: Greenpeace/Leard State Forest Alliance. For most, the choice to knowingly break the law in full acceptance that you will be prosecuted under the law is confronting and challenges the moral codes of our social upbringing. To do so and in a peaceable manner requires a depth of personal resolve and a commitment to the integrity of belief. However, at least with respect to the people of the Leard Blockade, Stephen Galilee, NSW Mining Council CEO, believes otherwise. Rather, he considers membership in organisations that oppose mining in the Leard or advocate action on climate change qualifies a protester as an ‘economic saboteur’ who uses community issues to advance their own political agenda. These are full-time activists who move like locusts from protest to protest, stirring up as much trouble as possible…and they don’t really care about local people or local issues, except for how the locals can be divided and co-opted to achieve broader political objectives. 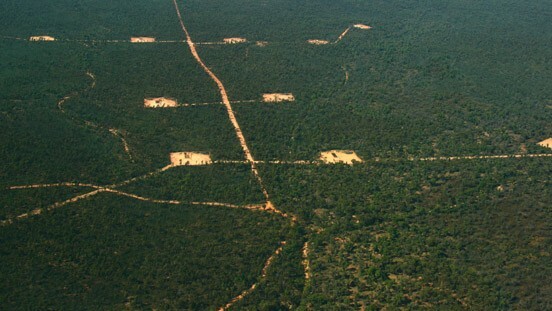 Peter Henderson, Metgasco chief executive, shares a similar view about those involved in the coal seam gas protests at nearby Pillaga State forest, calling them “professional protesters”. They’re the people who tend to be the mainstays, quite often the troublemakers … they are basically anarchists…when the television cameras come they tend to get to the back and they push a local farmer to the front. Organisers of this campaign would have us believe they are merely a concerned group of ­locals, standing up for local interests. They are not. They aren’t members of the local CWA or business chamber. You won’t see them down at the RSL or watching their kids play soccer and netball on the weekend. You won’t see them at the school’s next weekend working bee. In fact you will. The list of people, groups and professions who protest at the Leard Blockade is made up exactly of those people who are concerned for their children’s future and who contribute to their local community. There is the Maules Creek Community Council established originally in response to the community’s concern at the repeated closures, associated with the Whitehaven mining development, of public roads upon which they relied. By 2011, however, the overriding concern was the impact the development would have on water. Gomeroi ceremony in Gunnedah (Photo: Greenpeace/Leard State Forest Alliance). The Wilderness Society continues to support peaceful protesting as we have since the beginning of our work. We stand with the Gomeroi people, the Maules Creek Community Council, Lock the Gate, Greenpeace, 350.org, the Nature Conservation Council of NSW and others who are working together to stop the Maules Creek coal mine. It is an impressive list of signatories and it would seem that Stephen Galilee hasn’t done his research for there amongst them is the CWA of Maules Creek. There are farmers, wool classers and landowners. There are scientists, lawyers, clergy, teachers, ecologists and environmentalists. 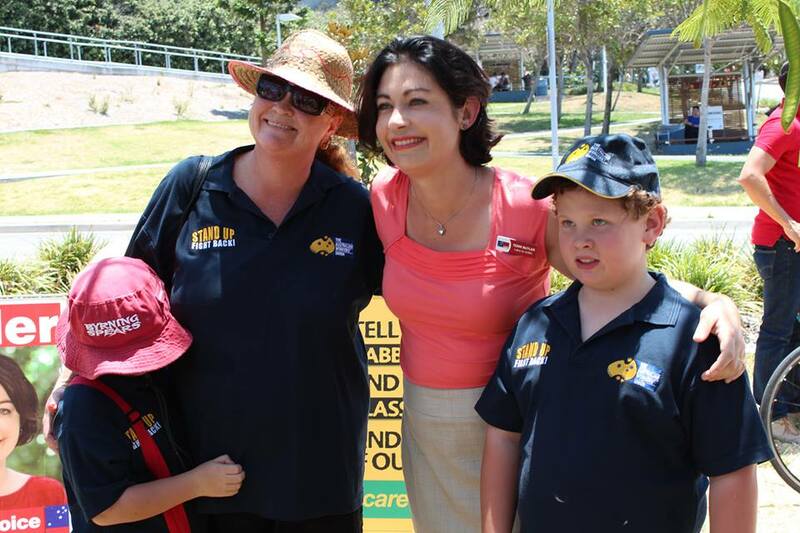 There are mums and dads and who want to stand up for their children’s future. There are grandparents who are concerned that their grand children aren’t left with an untenable environmental legacy. There are knitting nanas and war veterans. There are nurserymen, winemakers, horse breeders and tourism operators. There are the youth, the students, the travellers and the adventurous. It is an interesting and increasingly dynamic alliance and one that should be respected. As with the ‘MarchinMarch’ rallies across Australia, people are coming together at Leard, Pilliga and the Hunter Valley for different reasons but for a common cause. They are dissatisfied, dismayed and do not feel they are being heard or represented. So they are speaking out and they are representing themselves. 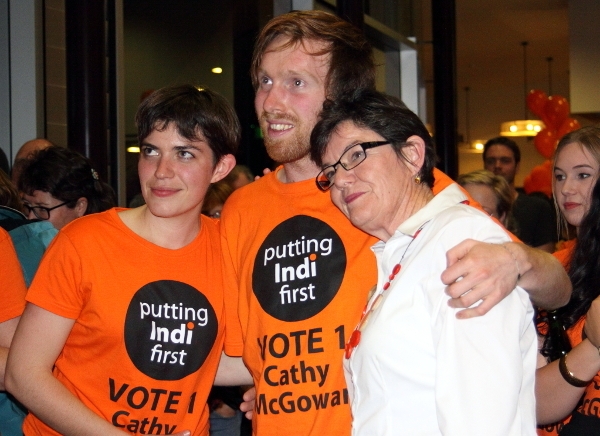 We have seen the collective power of a disaffected community in the 2013 election result in Indi. We have seen the rise in the influence of social media as an alternative to the traditional mainstream media. Now, at Leard, we are seeing the slow coalition of both mediums. Journalist Margo Kingston has visited and reported on the Leard Blockade three times. Like myself and many other members of the Australian public, Margo had been unaware of the protest at Leard until at the suggestion of a friend they visited the Leard in January of this year. Engaged, Margo began recording the happenings at Leard and reporting them on Twitter. On March 31, during her third visit to the Leard Blockade, Margo was arrested for trespass as she recorded the protesters entering the Whitehaven mine site. On that day, over 80 people were arrested, for trespass and other summary offences, including local ecologist Phil Sparks, Greenpeace spokesperson Julie Macken and Bill Ryan, a 92-year-old WWII veteran. Margo reported the events of that day, as she had previously, using Twitter. As the reports went out live the wider community became informed including mainstream media. The large scale act of peaceful civil disobedience by over 150 protesters, the mass arrests by the police and the celebrity of the people themselves who were arrested attracted mainstream media attention and they began reporting, interviewing and publishing the photos put up on Twitter. The people of the Leard Blockade would agree that they are consciously engaging in illegal activities as part of their protest. Consequently, their actions and their removal have required police and at times emergency services response. The aim of their protest is to prevent the destruction of the Leard forest by slowing Whitehaven’s operations until the government reconsiders its approval. The people of the Leard Blockade seek a change to the process that currently allows Whitehaven Coal to irreparably change the ecological landscape. The people of the Leard Blockade are challenging the existing status quo through peaceful civil disobedience. There is no evidence their actions have endangered the safety of mine workers. The protest of March 31, 2014, has dramatised their issues and has brought a tension to the situation. The protestors hold to their commitment of non-violent direct action, commonalities of purpose have bridged community differences to form a strong coalition, the media is reporting and the wider community is becoming engaged. The ingredients are all there. Probably the best measure of the impact the Leard protesters are having is the response in reply by those they are opposing. Three cheers to you all. Outstanding read, Lesley. In a climate of claims and counter claims, where emotions are running high, you record the Leard protest thoughtfully and soberly. A great contribution! Thanks Lesley – ‘real’ journalism! Marvellous, the box trees they are trying to protect are precious & rare with the surrounding country the most productive we have.The citizens who have this commitment to the land are our heros. Great article. Actions like this and journalists like you give me hope for our future. Thank you so much.